More than 30 private insurance companies offer the best Medicare Supplement plans in Arizona. Because Original Medicare A and B won’t pay for everything, these Medicare Supplement plans help beneficiaries pay the deductibles, coinsurance, and copayments left over. The following information will help you understand the options you have for a Medicare Supplement plan and assist you in determining which will offer you the best coverage and flexibility for the premium price. Medicare Supplement plans are standardized in 47 states, including Arizona. That means that each plan letter offers an identical outline of coverage in all 47 states. While the benefits are standard, insurance companies will charge different premiums. The 10 Medicare Supplement plans in Arizona are Plan A, Plan B, Plan C, Plan D, Plan F, Plan G, Plan K, Plan L, Plan M and Plan N. None of the Medicare Supplement plans include prescription drug coverage. You will need to get a standalone policy for medications. AZ has a population of nearly 6.4 million people; about 13.5 percent of residents are age 65 or older. The retirement age is 63. Nearly 34.2 percent had a Medigap plan based on 2014 data. When To Apply for Medicare Supplement Plan in Arizona? During open enrollment, Medicare Supplement plan providers must accept you, regardless of which plan you choose. These are known as guaranteed issue rights. Be aware that companies can require up to a six-month waiting period before covering a pre-existing condition. Bases your premium on your current age, which means your premium increases as you age. This is the most commonly used pricing method. Bases your premium on your age when you buy your premium; this means your cost stays the same as you age. Means everyone pays the same amount, whether you are 65 or 85 years old. Annual changes in your premiums aren’t because of age, but they do increase due to inflation and other factors. Arizona law does not allow insurance carriers to use the attained age method when calculating rates. In 2010, insurance companies used issue age to calculate rates for Medicare Supplement plans 94 percent of the time; the remaining 6 percent were community rated. Location plays a role in the cost of your Medicare Supplement plan because the cost of health care varies among geographic regions. Not only will the rate vary between counties, but it might also vary between zip codes. Original Medicare is a federal program that offers coverage throughout the country as long as you are treated by a doctor or health care facility that accepts Medicare. Medigap plans have the same protection: You can receive treatment from any health care provider as long as the provider accepts Medicare. One of the primary reasons seniors choose a Medigap plan over Medicare Advantage is because there are no network or referral restrictions. You are free to choose the best doctors, facilities, and treatment regardless of location. Medicare Plans F, G, and N are among six plans that also provide emergency coverage if you’re traveling outside the country. 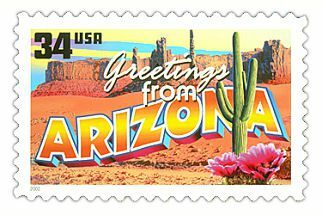 Moving to another state will not affect your Medicare Supplement plan from Arizona as long as you remain in Original Medicare. You can still keep your Medigap policy, but you should check with your insurance company for updated quotes. Because rates vary between geographic regions, your premium cost might be higher or lower than what you’re currently paying. You do not have to change or renew your Medicare Supplement plan every year. One of the biggest advantages of a Medigap policy is it’s guaranteed renewable each year, and it will remain in effect indefinitely. Once you choose your plan, you are free to “set it and forget it.” You will, however, need to evaluate your Part D prescription drug plan each year. The annual changes that insurance companies make might make it advantageous to change carriers during your annual enrollment period. You can switch Medigap plan providers any time that you wish. Be aware, however, if you are outside of a guaranteed issue rights situation the new provider isn’t required to accept your application. The insurance company can require you to submit to a health screening, may charge you higher premiums based on your health status and may reject your application entirely. That’s why it is so important to read insurance company reviews and compare benefits and quotes before buying a Medicare Supplement plan in Arizona.